Am I the only one that sings “Don’t Worry Be Happy” every time they think of this collection? It makes me want to swing from a hammock between two palm trees! My favorite paper from the collection is the Sunset! I knew the moment I saw this collection that it deserved a vacation mini album! Don’t you think??? So I pulled out my Artbooking Cartridge and got to work! For the cover, I added a little bit of ink splatters just for fun, plus I had some leftover Sapphire Twine from the Enchantment Ribbon Pack that I added to the binder rings! You can grab a pack of binder rings from Amazon or your local office supply store. OR, you can always use your burlap ribbon or other ribbon from your stash to bind the album! I adore this little album! The variety of page sizes, the little flaps and pockets give you something new with each page turn! And the coordinating compliments are the perfect touch! Every page in this TWENTY TWO PAGE mini album is cut from the exclusive Close To My Heart Cricut Artbooking Cartridge. This cartridge is loaded with over 700 images including accents, borders, titles, overlays, photo mats and more! Plus it comes with 3 My Acrylix® D-size stamp sets and a Whimsy cardstock combo pack! This one is a MUST HAVE! Paper trimmer, scissors, and various adhesives. Don’t have the CTMH Cricut Artbooking Cartridge? No Worries! (haha!) Order the precut workshop from me! I’ll cut all the pages and email you the workshop guide for assembly. Your PRECUT kit will include the No Worries WYW kit, and 3 sheets of Kraft cardstock cut and ready for assemble. Please allow 2-3 weeks for these Workshop Kits to get to you. I have to order the supplies from CTMH and then cut each kit before shipping them on to you. $5 Priority Mail shipping will be added to your Paypal invoice. Want just the Workshop Guide? No problem! The Downloadable Workshop Guide contains the Cricut Design Space link, a cutting diagram, and detailed photos to help you assemble your mini album. Click the PayPal link below to purchase the cutting guide for just $10 OR place any $25 order from my CTMH Shop and get it for FREE! Please note: You must have the Cricut Arbooking Cartridge to cut this kit. 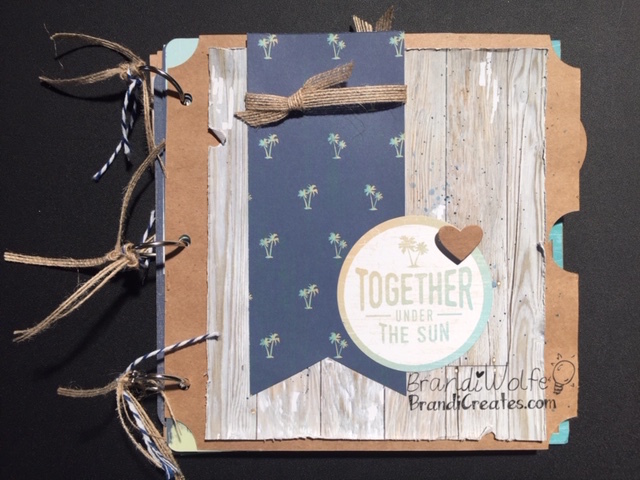 Next Summer Scraptacular Crop WORKSHOPS!!! I was a consultant at one time a few years back. I didn’t blog. I live in a small rural area. I could not keep up the quota. Is there still a quota? Or is it different on a “team” basis? Hi Rhonda! There is a quarterly minimum of $300, but that is waived your first quarter! It’s $75 to join, and along with your kit of over $200 worth of products, you get $50 in products OF YOUR CHOICE! Now is the time to join because a brand new Annual Inspirations catalog comes out August 1st and the Holiday Expressions catalog September 1st! So lots of new products to keep that quarterly minimum! Your album is adorable. Love the variety of your pages. so cute and perfect for summer! Is “Place Photo Here” a stamp? If so, may I have the stamp number, please? TIA.